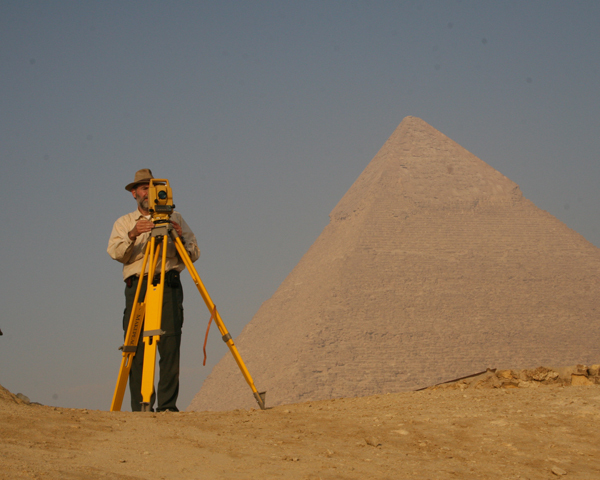 Glen Dash surveys Khentkawes Town during the Dash Foundation’s 2006 survey at Giza. The Pyramid of Khafre stands in the background. The Foundation used ground penetrating radar (GPR) in its survey and recorded the location of its measurements with the Total Station shown.